It was late summer of the year 2000, and the cloudless sky continued the weeks of heat and drought. 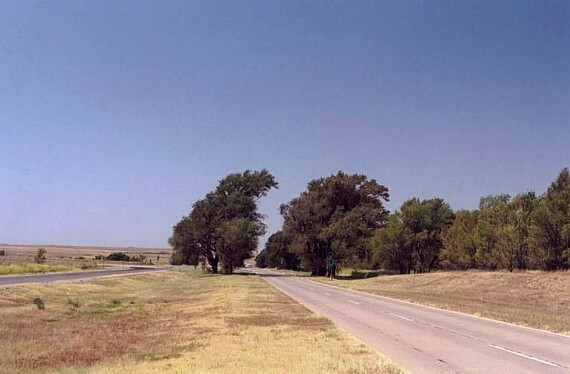 The photo was taken east of Texola, a few miles away from the Texas-Oklahoma border. This empty, four-lane divided highway used to be the Mother Road, U.S. 66, here reaching its most fully developed pre-Interstate incarnation. Almost all traffic has long ago shifted to the freeway, several miles away. Almost everyone, that is, except some locals, and those people who heed the call of other eras.